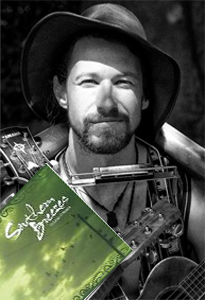 Tristan has been playing and making didgeridoos for over 10 years now. What started as a hobby has turned into the manufacture and sale of instrument quality didgeridoos. Being a touring musician who plays several instruments and having been frustrated in his own attempt to find music quality didgeridoos at the beginning of his didge journey, Tristan has now been focusing his attention on crafting didgeridoos where sound quality and workmanship is a priority. Over the past ten years he has spent countless hours perfecting his techniques of crafting beautiful instruments through trial and error and trying new methods, ideas, shapes, weights and finishes until he reached the final high quality version of his didgeridoos which he is extremely proud to put his name and logo too. Tristan also has an advantage in that he is also the person cutting the logs that he will craft his didgeridoos from. That is, he is involved in the process 100% from start to finish allowing him to choose exactly which shape and size timber he will use. Most of the timber Tristan uses is the Darwin Woolybutt Eucalyptus or Eucalyptus Miniata. “ive used a 2pac epoxy resin. it's the absolute best stuff available on the market, it's a high clear resin thats got special uv protectants in it and is guaranteed for 20 years without discolouration and thats on outdoor furniture!! on a didj it should last a bloody lifetime! it costs a bloody small fortune for this stuff! ;) each didj has about 40 bucks worth of epoxy on it. ive used 3 coats on the outside and one on the inside for extra protection and a full seal. each coat is cut back smooth, and the final coat is cut back thru sanding grits 400, 600, 800, 1000, 1200, then a fine steel wool polish. Tristan spends 9 months of the year making didges and working on his music, spending the Australian Winter in Europe as a touring musician, playing a variety of instruments combining the didgeridoo with the weissonborn lap steel guitar, acoustic guitar, 6 string tenor, ukulele, banjo, blues harmonica, native American flutes and of course his voice! We are very happy that Tristan has chosen Spirit Gallery to be his primary didgeridoo outlet. Buy Tristan didgeridoos online with fast worldwide delivery or come and visit our Sydney didgeridoo store.